Another crime alert! Police looking for witness to a "mischief by fire". 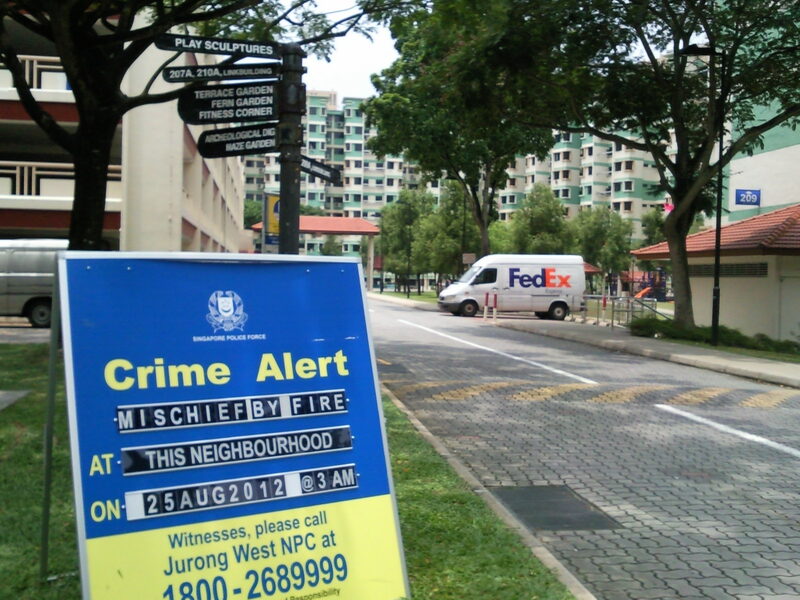 Notice board placed next to Boon Lay Blk 207.
seen the incident on 25 Aug, around 3am. 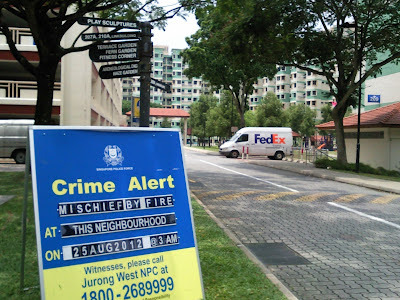 I think this is the 4th crime alert in this neighbourhood up to Sept 2012 ?